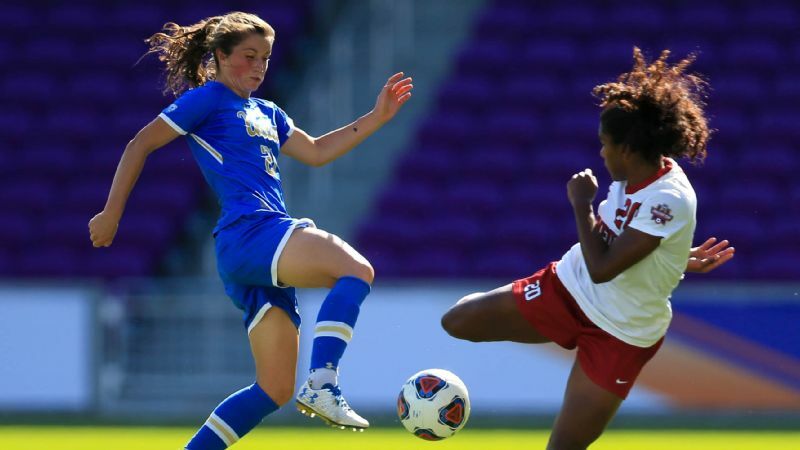 UCLA and Stanford appear to be a cut above the rest heading into the 2018 NCAA soccer season. What begins amid back-to-school sales and ends with people humming holiday carols? Well, yes, pumpkin spice latte season, apparently. But also the NCAA soccer season. It has been more than eight months since the Stanford women celebrated their national championship, so it's natural to be a little rusty when it comes to the names and stories that are likely to define the 2018 season. With games now underway, here's a look at key plot points. Spain's top soccer league regularly features age-old rivals Barcelona and Real Madrid staging a roster arms race -- and a lot of teams chasing them without ever gaining much ground. 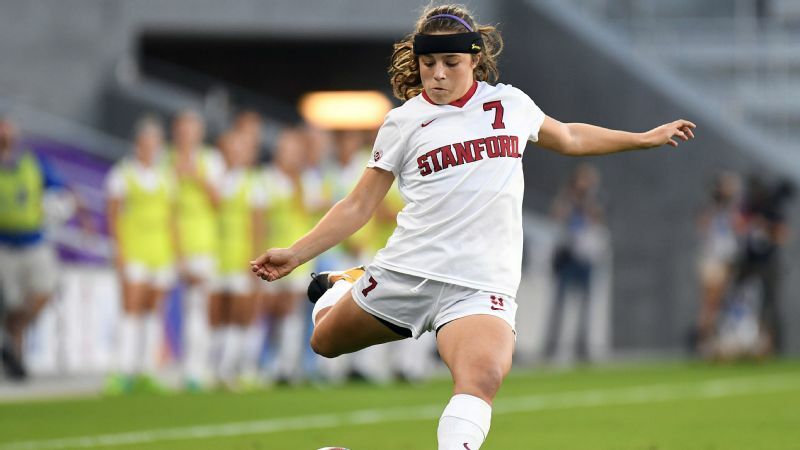 College soccer has longtime rivals Stanford and UCLA, the 2017 NCAA champion and runner-up (one or the other has won at least a share of every Pac-12 title since 2001) one-upping each other in recruiting. And there are a lot of teams with a lot of ground to cover to catch them. Make no mistake, 2018 is about finding a way to slow last year's finalists. Or not finding a way, as is so often the case in Spain. At 24-1-0 a season ago, the Cardinal were oh-so-close to becoming the only program other than North Carolina to run the table without a loss or tie. 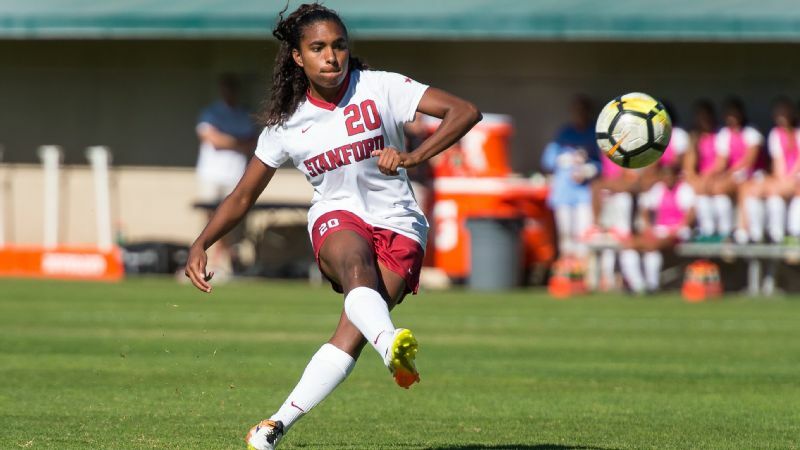 They managed to both dominate (Stanford outscored its NCAA tournament opponents 20-1 up until the second half of the title game) and show resilience -- by getting Jaye Boissiere's late winner after UCLA rallied to tie the final at 2-2 in that second half. Stanford no longer has Andi Sullivan, the Hermann Trophy winner, or Kyra Carusa, the 15-goal scorer who will spend her fifth year as a high-impact transfer at Georgetown. But the Cardinal still have U.S. national team starting defender Tierna Davidson, espnW national player of the year Catarina Macario, recently capped U.S. international Tegan McGrady and championship hero Boissiere, among a long list of returnees. They also have an incoming class that includes two starters from the U.S. U-20 national team, goal scorer Sophia Smith and versatile Naomi Girma. Perhaps not since the days of those North Carolina juggernauts of the 1990s has a defending champion returned so clearly capable of holding onto that title. UCLA was not as consistently persuasive making its case a season ago, losing three times along the way and technically even drawing with Duke in a semifinal that went to a penalty shootout after a scoreless 110 minutes. But the Bruins started to look like the sum of their considerable parts by the final weekend. With nine of 11 starters back from the championship game, including cornerstones Jessie Fleming, Hailie Mace, Kaiya McCullough, Teagan Micah and Ashley Sanchez, there is both an experienced foundation and room to be even better. Savannah DeMelo, fresh off the U-20 World Cup, and USC look like they could contend for the title. Let's stick with the La Liga theme for a minute more. For all their dominance, Barcelona and Real Madrid occasionally struggle to shake off one pesky challenger, in particular. And the Pac-12 favorites might find that a similarly familiar foil is their strongest challenger this season. Southern California plays at Stanford on Sept. 30 and against UCLA on Nov. 2. USC might have a second meeting with one or both shortly after Thanksgiving on the other side of the country in the College Cup. USC, the defending national champion when last season began and the first Pac-12 school to win more than one title, had more to replace at that time than Stanford does this season. It still managed a 14-1-1 record before late losses to the Cardinal and Bruins and a second-round exit via penalty shootout in the NCAA tournament. But last fall was about setting itself up for 2018. USC's back line could be one of the two or three best in the country at full strength. The midfield is led by U.S. U-20 standout Savannah DeMelo and English import Ashleigh Plumptre and adds North Carolina transfer Alea Hyatt. And Notre Dame transfer Natalie Jacobs, who scored 13 times a season ago, and freshman Penelope Hocking, another U.S. U-20 international, should help make last season's occasional struggle for goals a distant memory. The ACC is deep with contenders, if lacking a clear favorite, until and unless Duke proves it is immune to the loss of several key starters from a season ago. Penn State looks ready to get back in the title race, and Florida is itching to reclaim the SEC from South Carolina. But the Trojans might have the best chance of anyone to break through. Injuries change any sport, but scheduled absences also are an issue in pursuit of soccer glory. 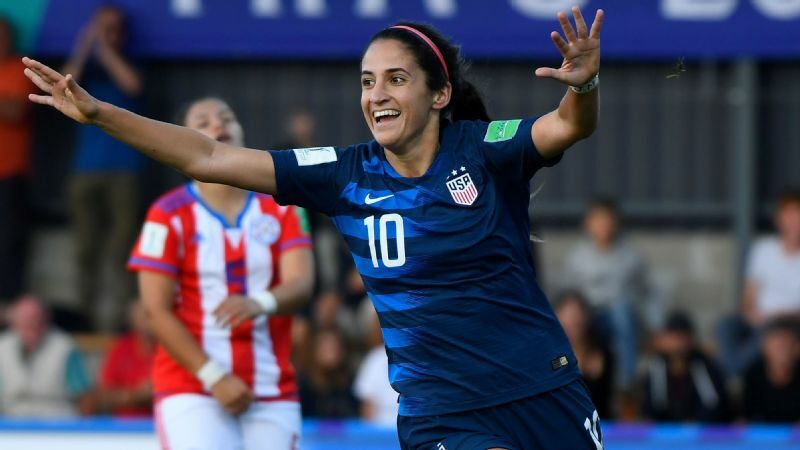 As deep as Stanford is, it isn't so deep that it won't feel Davidson's absence when she is presumably called up to the U.S. team that will compete in World Cup qualification in October. The same is true for UCLA, which will lose Canadian midfielder Fleming to the same process. And for as much as the absences might impact actual games and potential NCAA tournament seeding, it will take time for those teams to readjust when the players return shortly before the postseason. A lot of schools also are looking for contributions from players who were part of teams competing in the Under-20 World Cup in France. The largest contingent is obviously from the American team in that event. Virginia alone is welcoming back four potential starters in Laurel Ivory, Zoe Morse, Alexa Spaanstra and Taryn Torres. But others such as South Carolina's Grace Fisk (England) and Florida State's Yujie Zhao (China) also were involved in the competition. This was actually a good year for college teams with regard to the biennial U-20 event. The late-summer scheduling of the tournament allowed players to compete without redshirting their college seasons or even losing that many games. So intriguingly well-stocked North Carolina will get to see highly touted freshman Brianna Pinto, and Cal will have lightning-fast Abigail Kim to take on the Pac-12 elite. But from managing the extra wear and tear on young bodies to establishing chemistry with new teammates, just getting those players back on campus isn't the end of the challenge. 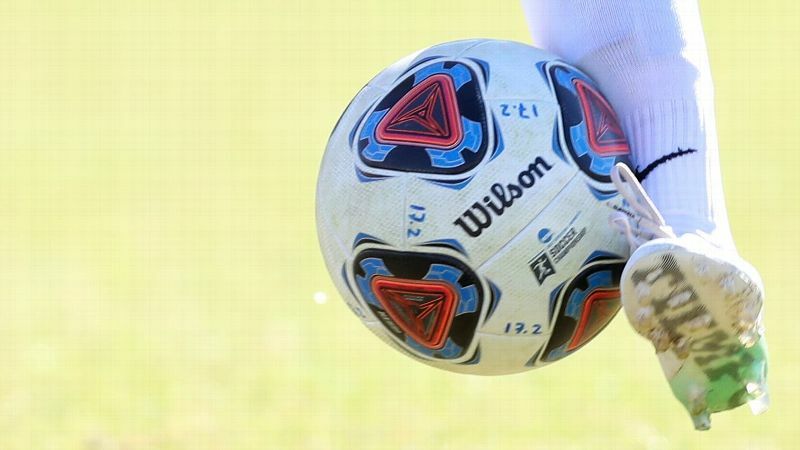 To be the best in college soccer, teams need the best talent. But more than many sports, with 2018 as proof, that also means learning how to share those players with the rest of the world. Last year's final weekend was a success on the field -- South Carolina's strong debut; the drama of a semifinal penalty shootout; and the back-and-forth title game littered with talent -- but an embarrassment off the field. Stanford and UCLA played that final game in front of 1,938 people at Orlando City Stadium, the smallest championship game crowd since 1989. Whatever the confluence of causes, it wasn't a proud showing for an event that shouldn't lag so far behind NCAA championships in women's basketball, volleyball and softball. Seven previous College Cups in Cary drew well, including a near-record crowd of 13,329 for the championship game in 2015, and makes use of an area with plenty of women's soccer roots. At a time of year when football and the holiday season overshadow so much, utilizing a regular home for college soccer's signature event -- as college baseball and softball have for so many years -- gives it a fighting chance to provide the atmosphere commensurate with the talent.